Bamboo is a natural surface covering material which has many properties of hardwood flooring. Even thou bamboo is a type of grass; it stands out as a hard product to be used in place of wood. Bamboo flooring shares many advantages of hardwood floor, as well as vulnerabilities and drawbacks. The more information you know about the properties of this material, the better you will be when purchasing a new floor or a maintenance decision. Ecological Friendly - Bamboo is made from natural vegetation which is a highly renewable resource that can grow to maturity in less than three to five years. This is faster than hardwood trees which take up to two decades to reach full maturity. Easy Maintenance - Bamboo floor is relatively easy to maintain. When cleaning, all you need to do is sweep or vacuum it regularly to remove all small particle debris. You can damp mop it or clean it using non-alkaline or no wax cleanser. Water Resistant - The material is more resistant to water stains, damage, and warping than compared to other hardwood materials. Price - The price of a bamboo floor is priced at the same level of hardwood floors. The price range of bamboo range from $2 to $8 per square foot. Always avoid bargain basement materials as they offer lower quality castoffs. Durability - Certain types of bamboo are sturdy, strong and durable. Natural, un-carbonized bamboo that is appropriately harvested and manufactured can be as sustainable as red oak. Strand woven bamboo can be made harder than that. 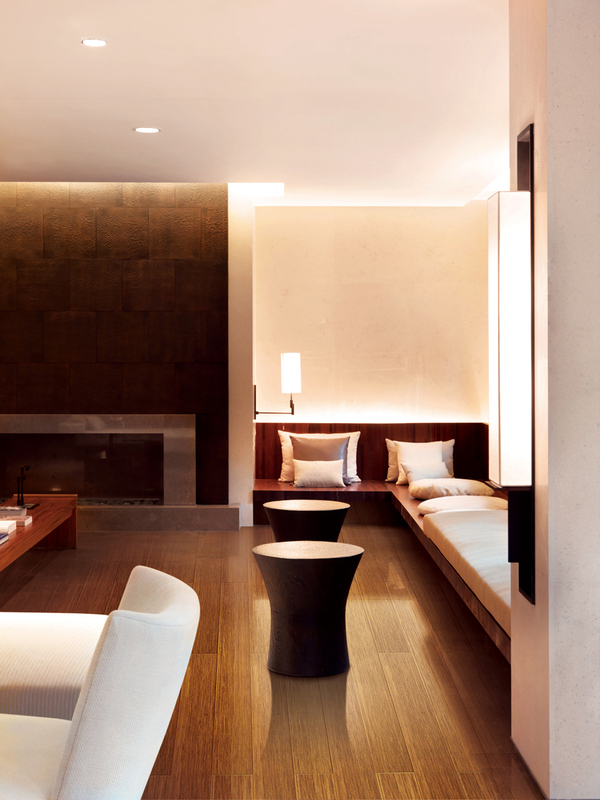 Style - Bamboo is a high classic flooring material that can elevate the elegance of a space almost instantly. The bamboo has a feel and appearance similar to that of hardwood. This class can add an ineffable quality to your room. Emission of VOC’s - Bamboo floor planks is manufactured by slicing and shredding the stalk of bamboo grass plant and then adding the pieces back together using pressure, heat, and resin based adhesives. These adhesives can later release volatile organic chemicals into the air of an interior space over time. Scratches - Even with its easy maintenance, it is nearly impossible to keep the bamboo floor perfectly if regularly used. There different things that can cause nasty scratches on the surface of a bamboo floor. Pet claws, high heels, and furniture legs can cause damage on the surface. Water Damage - As mentioned earlier, bamboo is more resistant to water damage than any other wood. However, it being a natural material, if its organic moisture absorbs excessive moisture it will cause it to wrap or allow mold to grow. Humidity - If the floor is installed in a very humid area, the air can cause the floor planks to plump. When exposed to a dry environment, the planks can shrink. In both, cracks in the bamboo will be the results. 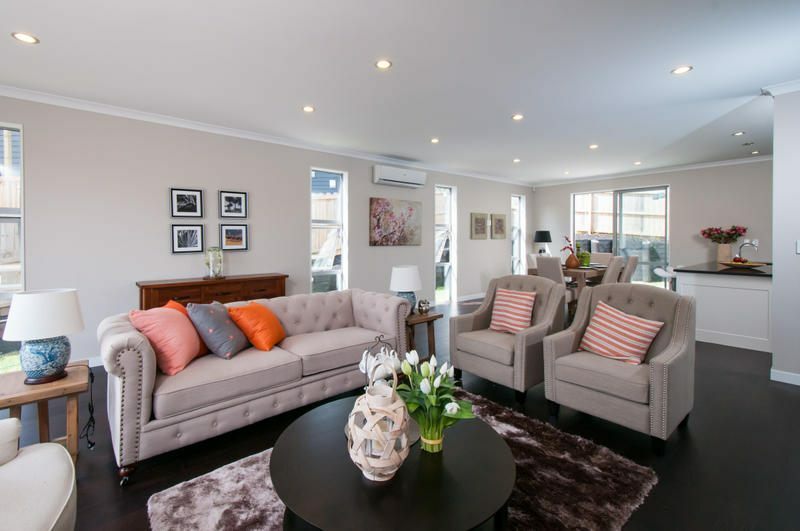 Make a superb floor by using Bamboo Flooring NZ in your home and rental apartments. Hardwood flooring remains to be super popular. The flooring is an excellent choice for many not only because of its natural beauty but for its durability and easy DIY installation. Is it time for having your sitting room or kitchen update or are you planning to redo any floor part of your home? It is crucial you choose the right material for your lifestyle. With many options to choose from, it becomes quite difficult to know which is right for you and your family. Hello, hardwood floor lovers! If you have been living with the same stained carpet for more than five years, it’s time you put your foot down. With luminous hardwood floors, they can last through spilled juice, trikes, trends, and toddlers. Here are reasons that hardwood flooring is the best choice for most homes. As the homeowner, you understand the value of keeping your home high, especially if you intend to sell “stuff” soon. Most renovation projects, from having a kitchen update to adding a deck by the guest room, will increase your home’s value, one of the best ways to have clients buy your house is by installing hardwood floor. Many people avoid hardwood floors because they think maintenance is such a nightmare. In fact, keeping wood flooring is one of the most straightforward tasks compared to other options. By purchasing few cleaning materials and changing a couple of habits, it is easy to keep your hardwood floors looking brand new. However, it is important that you speak to a contractor to give more advice on how to maintain hardwood. We all have that one family member or friend who is allergic to almost everything! In case someone has allergies associated with the dust, pollen,.., hardwood floors might be a good solution. Hardwood is hypoallergenic. This means it doesn’t collect and retain dirt like other flooring materials making it the perfect addition to your home. When it comes to durability, nothing beats or does a better job than hardwood. Wood flooring is not only beautiful, but it is a long-lasting addition to your home. Once the wood starts showing their age, it’s is less expensive (comfortable) to resurface and restain rather than replacing them. With hardwood, knocking over a glass of wine is never a problem. All that is needed is a damp cloth to clean all the spills. Hardwood is capable of withstanding dust, dirt, and grime much better compared to other materials like carpet. The surface is smooth to wipe and maintain a shiny and luster breeze. Wood flooring is made from renewable-natural resources. Trees can be planted over and over again. Many companies that manufacture hardwood floors tend to have a tree replanting program to replace the cut-down trees. 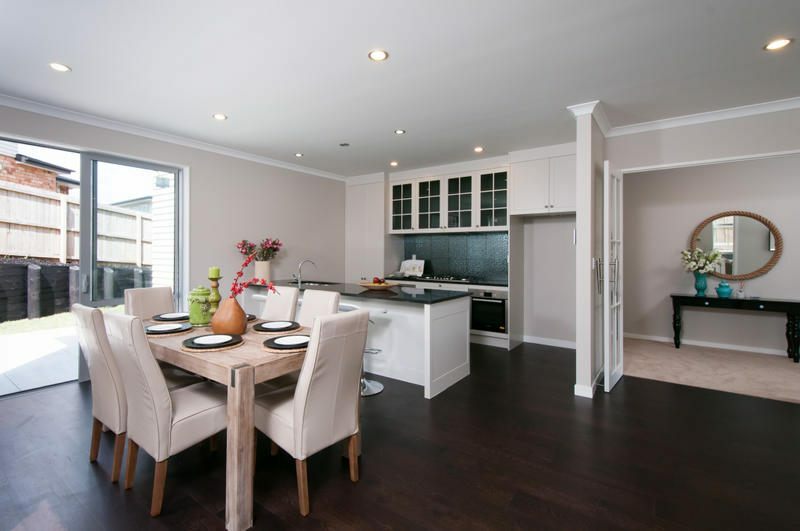 Choosing Hardwood Flooring NZ is such an excellent choice for your home, you know why? Their simplicity, elegance, and timelessness never go out of style! Whether designing or renovating your home, you will eventually come to that pivotal point in the design stage when you need to choose your flooring options. With different options available, it is essential to know which the right choice is for you. One of the most fabulous choices you can make as your home remedy is to install timber floor. There are many choices to choose from ranging from concrete to tiles, carpet, nylon laminates and terrazzo but timber remain to be a choice that stands out among the rest. 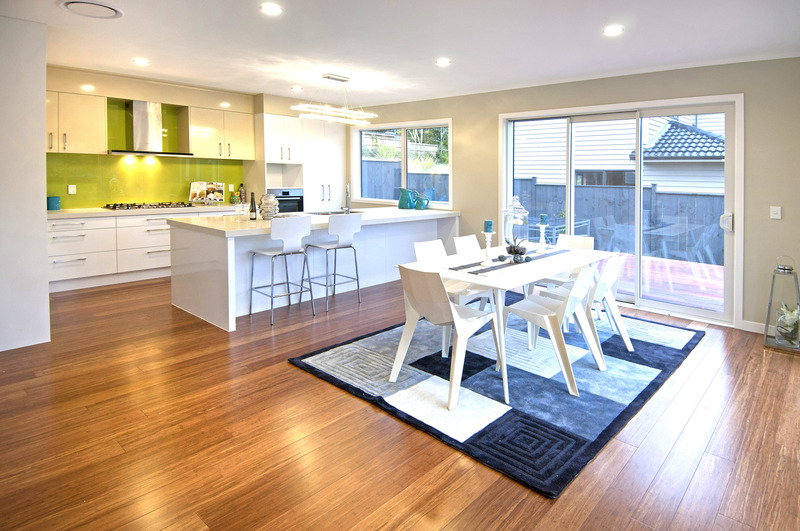 Here are six essential steps that will help you in choosing the right timber floor for your home. It is important that you list all the requirements you need. Most people prefer quiet, acoustic or soundproof rooms that are warm, gentle and durable, especially on babies’ knees. Consultation and guide from an expert will help you in maintaining the best fitting for your home. One of the most common timbers used for flooring is the Monaghan which is warm, gentle and presents a noble appearance which offers a comfortable log cabin feel. When comparing your different options, it’s necessary to consider room traffic and wood durability. Always be careful when opting for nonmarking wood. 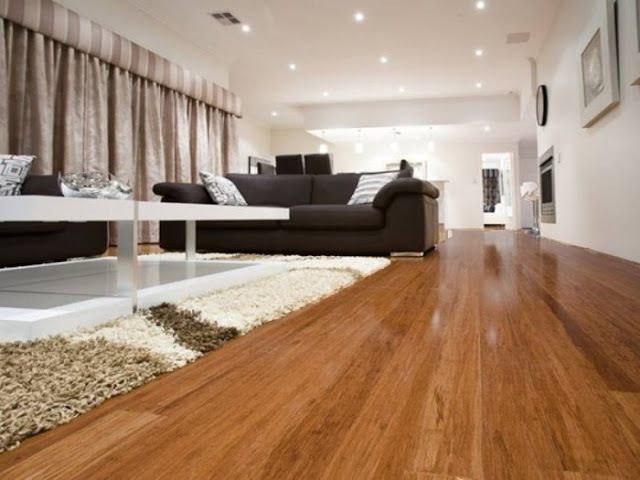 Bamboo, composite products, red ironbark timber and tallow wood, stand out and are the best choice for areas with high traffic like the living room, and those prone to scratches. It is essential to choose a color, type, and pattern that will match well with your room furnishing, fabrics, and accessories. Some of the favorite designs are darker colors for traditional settings, lighter colors for casual settings and red oak timber flooring that complements all styles and decorations. Ensure you understand the wood regime while selecting one. It is vital to always opt for a product that you can maintain. Wood flooring still helps in protecting the surface from heavy wear, tear and moisture and easy while cleaning. When narrowing your options to find the best product, it is essential to know the different timber flooring options on the market. Cork – This is one of the underestimated products, but it sees resurgence in the modern architecture. It is warm and soft and a perfect choice for families with small children. Solid timber – This product varies in price and quality. Remember, the more full the board, the more expensive the wood will be. Timber laminate – This product stands out because of its outstanding quality and durable laminates. It offers a beautiful broad look at reasonable pricing. Recycled timber – Never underestimate this option as it is more expensive than new timber depending on the age and width of planks. Timber composite – This is a perfect suit for a modern home. The product is excellent in high traffic areas in commercial and residential situations. After listing your choices, it is essential to compare the costs. Opt for the material that is more affordable and the one that meets your requirements and budget needs. However, timber floors can be quite expensive. Timber flooring NZ is one of the best as you will enjoy fashionability, comfortability and beautiful flooring for life that suit your life. Bamboo flooring is not much different from standard hardwood floor installation. For basic homeowners, the primary motivation for installing a bamboo floor in your home or residence is to save money. Installing the floor your self can be done at half the price and is an easy weekend project. 1. Ecological friendly – Bamboo is natural vegetation which is a highly renewable resource that can grow in less than five years. 2. Easy maintenance – Bamboo is easy to maintain. All you need to do is sweep or vacuum it regularly to remove small particles. 3. Water resistant – The material is slightly more resistant to stains, water damage and warping compared to other hardwoods. 4.Natural material – As people are becoming more ecologically conscious, they are demanding for elements that reflect these values. 5. Price – The materials prices the same as hardwood floors. 6. Durability and style – Bamboo products are robust, hard and durable and can elevate the elegance of a space almost immediately. Whether you choose engineered bamboo planks for installation in your New Zealand home, the flooring comes with tongue and groove fasteners that make it easy for installation. Thou you can nail or glue down bamboo, it necessary you leave this work to professionals who understand the task better. Here is a simple procedure that will guide you through the installation of bamboo flooring. 1. Pry off shoe molding from the perimeter of the room using a pry bar. 2. Clean and scrutinize the subfloor with a wet-dry vacuum. 3. Pass a carpenter level across the subfloor to locate high and low spots. 4. Mix all the cementations leveling compounds with water following the manufacturer’s instructions. 5. Sand off any rough spots after the cement dries. 6. Unroll the underlying recommended by bamboo flooring manufacturer from New Zealand so as it covers the entire floor. 7. Vacuum away the dust and cut down the amount of thickness you need for flooring. Here is how to install Bamboo Flooring NZ. Set half inch plastic spacers next to the most extended and adjacent walls. Place the grooved side of bamboo planks against the spacers. Join the planks end to end and spread a small amount of tongue and groove glue flooring at the bottom before sliding the pieces together. Place the first row against the spacers. Using a circular saw cut the last plank to make it fit. The next row should start with remnants of the last plank. This gives an allowance of 6 inches to stagger the joints. Apply glue at the bottom side of the long groove before you insert the tongue portion from the first row. After few minutes, push the pieces firmly together. Continue with the work across the room setting the planks and staggering the joints. Remember to keep the half inch gap with spacers. Avoid walking on the floor until the glue sets. Follow the specific instructions for drying time. A compressed bamboo is a high-traffic solution that is tougher than most species of the trees.There are certain species of bamboo that are extremely strong, durable and tough.Natural, harvested bamboo can be relatively tougher than most hardwood trees such as the red oak.The extreme hardness of the bamboo, durability and stability is perfect for high traffic areas and commercial settings. The use of a natural material is an important trend in the construction industry right now.People are becoming more educated and more ecologically conscious as the days progresses and therefore bamboo flooring becomes a reflection of their values.People have developed a taste for materials and designs that rejects the modern harmful materials and are now focusing on materials that reflect an individual personality and natural evolution. The cost of a bamboo varies based on some factors such as the size and thickness of material, its quality and how its manufactured.The cost of bamboo flooring runs costs around $5-$8 per square foot which is about the same as the other types of hardwood floorings.The installation of a bamboo fall simply means the gluing and nailing it to a subfloor.This cost includes installation costs, the price of materials, adhesives as well as underlying materials that may be required. Bamboo is relatively easy to maintain and you have to do is a vacuum and sweep it regularly to remove dust and small particle debris.A bamboo floor can also be damp mopped or cleaned with a bamboo floor cleanser.The material is also resistant to water damage and stains which makes the floor more long-lasting. 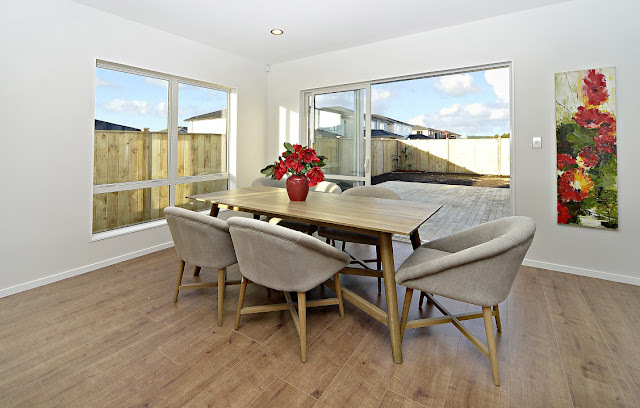 With time, the Bamboo Flooring NZ can become discolored or scratched due to factors such as foot traffic or pet nails.Luckily the surface can easily be renovated and brought back to the original look by sanding it down and then applying the finishing coasts in to bring out its original look. Bamboo flooring in Auckland can elevate the elegance of a room almost instantly as it has an appearance of hardwood material and yet distinct and different.However, on the other side, a significant fraction of all the bamboo flooring materials are made overseas where most manufacturing process can be sketchy. This just means that the brands may contain adhesives and formaldehyde that emit toxic VOCs which are environmentally unfriendly. Solid vs engineered flooring wood. Solid hardwood is known for its endurance because it's solid through and through and can be sanded or finished multiple times in its lifetime.The durability of a solid wood mainly comes from the tree species. Engineered hardwood, on the other hand, are made to reduce the moisture problems if your durability concern is all about moisture, humidity and temperature. Its layered construction makes it more stable in environmental changes. Solid hardwood is said to be the gold standard in flooring and is price premium when it comes in the board for board.There are a number of other factors that influence the cost of solid wood such as warranty and the type of finish that you want. Engineered hardwood, on the other hand, tends to be less expensive than solid hardwood expect the premium collections that have hardwood on the top layer. Solid hardwood is traditionally 3/4 thick.Engineered hardwood is slightly thinner and is 3/8 to 1/2 inches feet thick.The outside layer allows them to be sanded and finished over.This type of wood is a great choice if you need to fill an existing gap. Solid hardwood is used for flooring living rooms, bedrooms and hallways and dining rooms.It's wise to avoid this kind of wood in the kitchen areas however it can be used if there are waterproof mats placed inside the dishwashers. Engineered wood is an excellent choice for flooring areas where solid hardwood cannot be installed like in the basements, over concrete floors and radiant heating systems. When solid wood is used in flooring, it will return value many years down the road.When engineered wood flooring is employed in Auckland, it will enhance installation options construction that makes it less likely to buckle, gap or react to heat or temperature change.Regardless of whether you end up with a solid or Engineered Hardwood Flooring NZ, it's worth the investment to rely on quality installation experts to ensure a stress-free flooring experience. Understanding the rich history behind the wood used in floors enriches its beauty and value. Have a floor that is a showpiece in itself and that your visitors will love to tell their friends stories about the roots of the beauty and precious wood. Wooden flooring will offer different species and pre-finished and distressing options that will help you suit your tastes and needs. 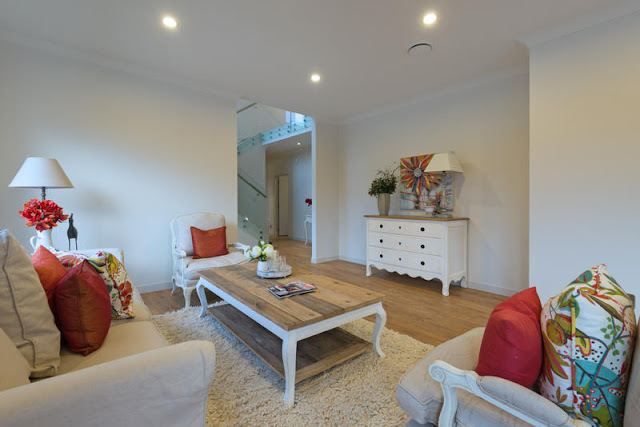 If you live in New Zealand, wooden flooring is an environmentally sound choice to decide upon. You can significantly reduce your carbon footprint by using wood as a building material rather than other human-made products. For instance, it would take five times more energy in producing a tonne of cement compared to producing wood floor. 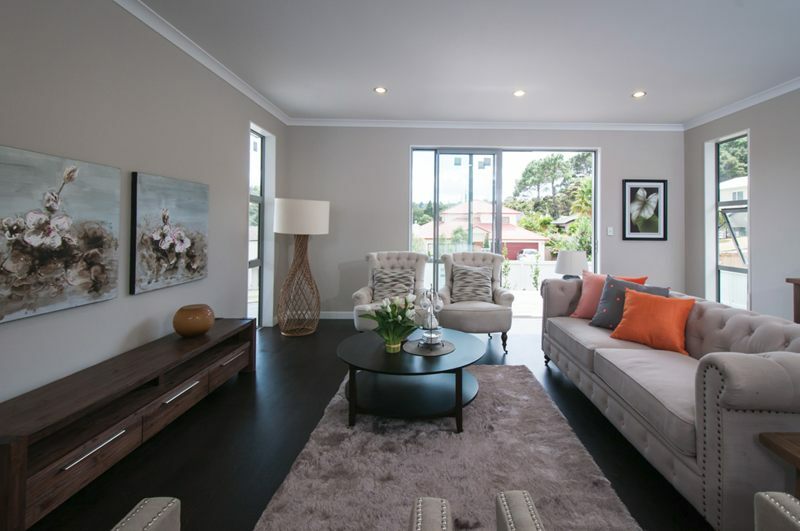 Here are some underlying reasons why you need to choose wooden flooring for your home in New Zealand. Wood flooring gives and produces a certain charm to any room. There is a different range of wood floor finishes that you can choose from. You can choose between lacquered or oiled finishes, smooth or brushed surfaces and even cross sawn. Any of this style will help you in having a truly unique wood floor that matches your needs and suits your personality. With more advanced modern protective finishes, the different range offers a more durable and long lasting finish than ever. As wood can be sanded or deep cleaned for new finishes as trends come and go, a timber floor can significantly outlive most of other types of flooring. Wood is a natural insulator that helps in keeping heat in when the room is cold, and the house cools when it is hot. Due to its fibrous quality, the material absorbs sound. Wood is a high-end investment that will always add value to any property making it be a good investment. Installation of the wood is quick and easy on any surface when you use professional fitters. In case you want to sell your house or apartment, wood flooring will add a more excellent taste and high value to your home. Regular vacuuming or occasionally sweeping with a mop is all it takes to maintain any wooden floor products. Additionally, it is essential to use maintenance products that will help in keeping the floor looking pristine. We all have a family member or friend who is profoundly affected by dust, dirt and even pollen. Wooden flooring doesn’t harbor, attract or store dust and other allergy-causing organisms. This helps in minimizing the risk for allergy sufferers. By use of natural products, the VOC content is minimized. 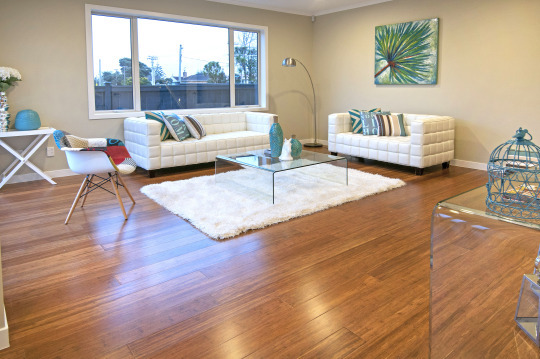 Wood floors add value to any residence at a resale time, not mentioning it is a lifetime product. Hardwood floors are one of the most sought-after surfaces floorings in remodeling and new home construction. Many agencies in New Zealand specializing in selectivity and variety of Wooden Flooring NZ will offer the taste you need. With modern technology, hardwood floor comes in different styles, sizes, species, and colors. The best choice could lead to a lifetime floor enjoyment. Oh, wood floors are just beautiful, durable, timeless and endlessly unique. No trees are the same, neither are two wood flooring. In the first year, it's a favorite vinyl print; another year is patterned tile. The problem with carpet tile is that people tend to wake up one day and get bored of the stylish trends. Have you grown sick of your red carpet and you think it's time for something new? With a wood floor, it is quite difficult to get bored of your choice. People don't wake up one day and think they have had enough of the wood floor. This is because of its low key and rare appearance. If you are considering redoing your floors in your home or rental property, one excellent choice that you can make is to have wood flooring. It may appear too expensive or difficult to install, but the truth of the matter is that wood flooring can turn to be a significant investment in the long run. Although this is not the first instinct when choosing a floor material, depending on who lives in your home, this can be such a selling point. If you have a pet or kid in your house, removing stains, spills or vacuuming can be quite taxing especially if you have a carpet. However, with wood flooring, all you need to do is sweep and mop. Additionally, wood is very long lasting. You can expect it to last longer than your home. Wooden floors always get dirty but do not harbor dirt and spilled liquids like carpet. Compared to wood floors, carpet needs to be replaced three to six times before most wood floors even need repair. Despite the high upfront cost, wood requires less upkeep over time. Wood flooring will always increase your home's value. Thou wood floors are by no means the least expensive options for flooring, the payoff and "Return on Investment" is higher than other types of flooring. If you ever want to sell your home, the potential buyer will see the wood floor as a real perk since it is durable, easy to clean and it holds no odors or stains from previous tenants. The floor match with most styles and the new owner don't have to adjust their decor or furniture to match the existing floor. Thou the same can be said with carpets, the good thing about hardwood floors is that they can appear in a variety of different styles. The floor never goes out of style. The floor comes with many various options which can stand the test of time. Whether solid or engineered, the floors come in many different finishes and colors perfect for any style imaginable. Installing Wood Flooring NZ can be of great benefit to your home. It will increase the property value, give a great look, easy to clean and comes in different styles and colors. Adorable features of a hardwood floor. Natural hardwood is a popular flooring choice because it never goes out of style.It combines the beauty of nature and the precision of straight line planks.Hardwood brings a cozy, warm and a friendly feeling to home-owners.It offers an unrivaled beauty and richness to a room and can be seen as a symbol of style and strength.Hardwood comes in a variety of colors, textures, and species.You should invest in hardwood floors to bring out a stylish look that is less expensive than it seems. Hardwood floors are relatively strong and have stood the test of time.It's surprising that hardwood floors can stand over 100 years of time as long as the house is properly maintained.It's also a low maintenance option as it only requires regular sweeping and vacuuming the floors to remove dust and dirt.Mopping the floor with water should also be avoided but can alternatively be done with a dusting agent.Over time, the floors might begin to wear down which is mainly caused by foot traffic, pet nails or general wear and tear.However, the wear and tear is gradual and can take years. Hardwood flooring ensures that one will get a good deal on selling a place.Most home-owners and potential buyers get rid of the carpet and replace it with hardwood flooring.Replacing your floor with hardwood will increase the likelihood of your house selling faster as it's seen as a luxury item despite how inexpensive wood has become. Hardwood flooring is very versatile and can be applied in different ways, shapes, and colors.Hardwood works will provide all style of decorating from traditional to modern styles.At the same time, it's adaptable to every environment and furniture so you can easily take advantage of this to suit your home needs. 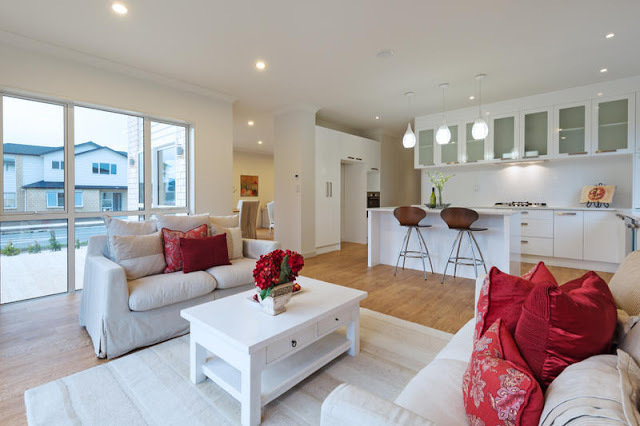 The bottom line is that when you talk about Wooden flooring in Auckland, hardwood is a popular choice as it has an array of benefits that are attached to it.It might cost a little more upfront, but it is more economical in the long run as outlined in the many ways above.